Welcome to Milton Toyota, your certified Toyota dealership in Milton, Ontario. We are presenting the new 2019 Toyota Corolla Hatchbach. You can find all the relevant information below. The 2019 Corolla Hatchback keeps the fun going. Low to the ground and lightweight, this energetic hatch will reintroduce you to the thrill of driving. Its sporty exterior highlights its practical five-door design, while the interior surrounds you in comfort with plenty of room to take friends along for the ride. 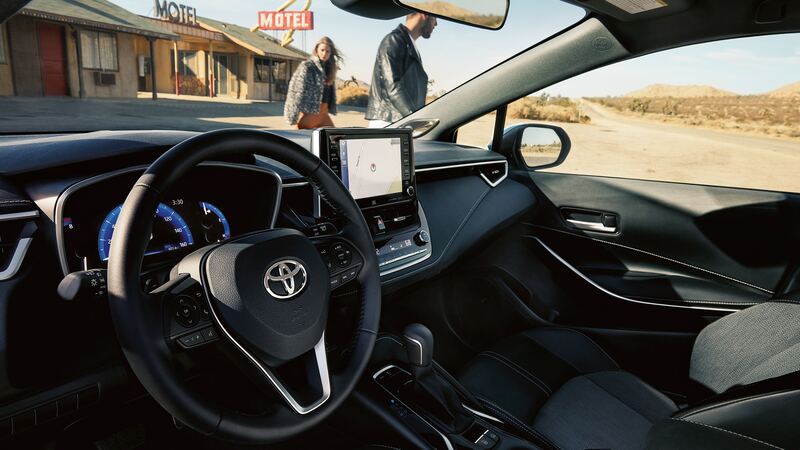 It’s also up to speed with the latest standard tech and our state-of-the-art Toyota Safety Sense 2.0™ that helps provide peace of mind on every trip. So, whether you’re running to the store or driving to the lake, Corolla Hatchback finds fun around every corner. The all-new Corolla Hatchback makes a joy ride out of just about any ride. Its sporty design makes a lasting first impression, thanks to its sleek, aerodynamic shape, athletic wheel flares and arches, stylish Bi-Beam LED headlights, and available tailpipe diffuser. And since no two lives are alike you can choose from several sporty packages to ensure this Hatchback fits your unique needs. 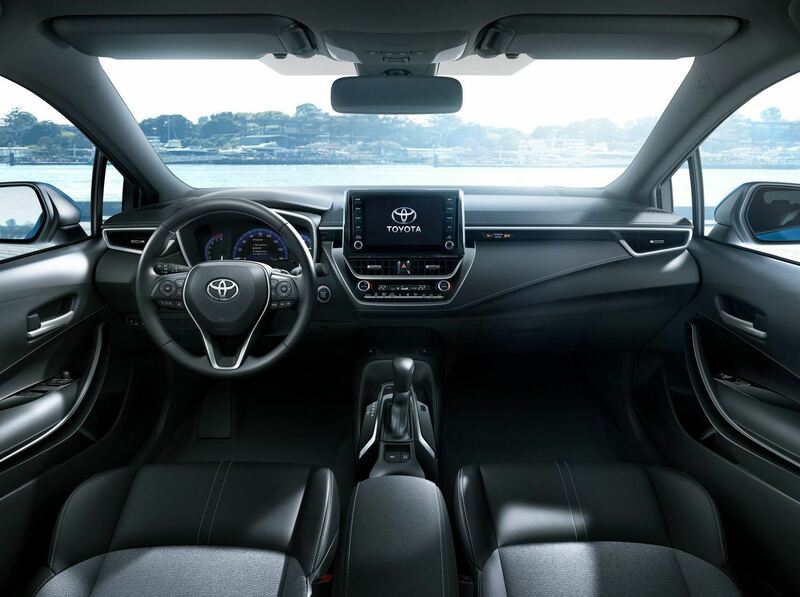 The 8-in multimedia touch-screen display features a host of smart technologies including App Suite Connect,2 available Safety Connect®3, Destination Assist,4 and Scout® GPS Link5 to help you to connect to the people, places, and things that matter to you most.Corolla Hatchback offers Apple CarPlay™ support as a standard feature. 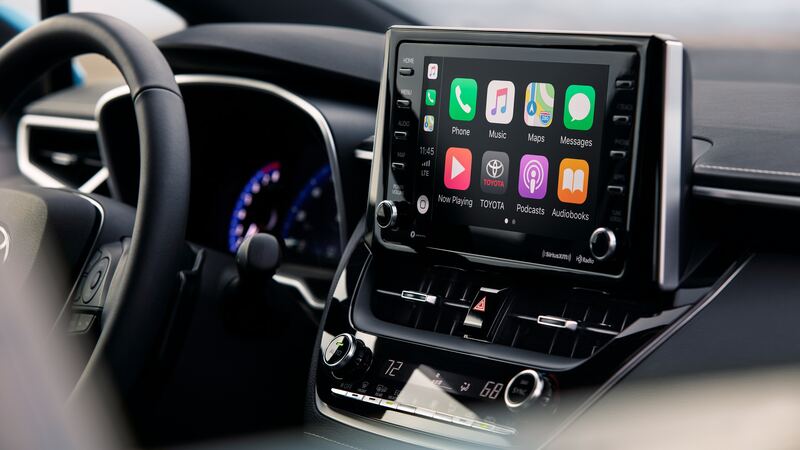 Connect your compatible iPhone® and get directions, make calls, send and receive messages, and listen to your own playlist with your voice through Siri and the 8” touch-screen–all while maintaining focus on your drive. When reversing, the multimedia touch-screen displays an image of what the standard backup camera sees behind you. 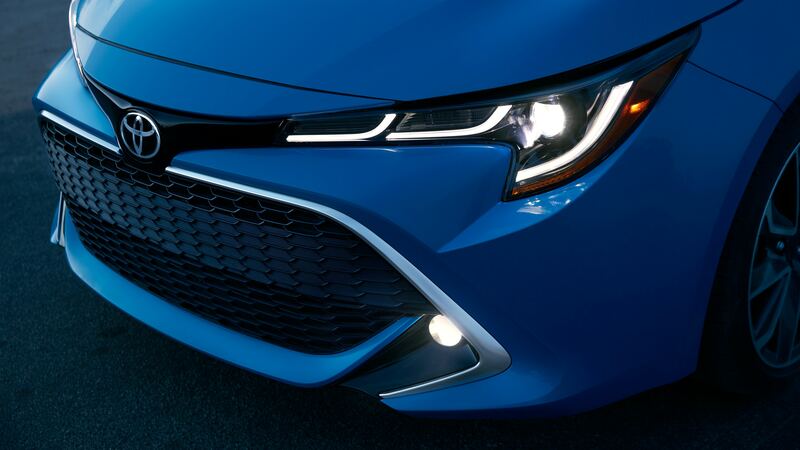 Corolla Hatchback’s new Dynamic Force 2.0L, 4-cylinder, 168hp Direct Injection 4-stroke engine with Variable Valve Timing with Intelligence delivers improved driving performance, and the added benefit of superior fuel efficiency. 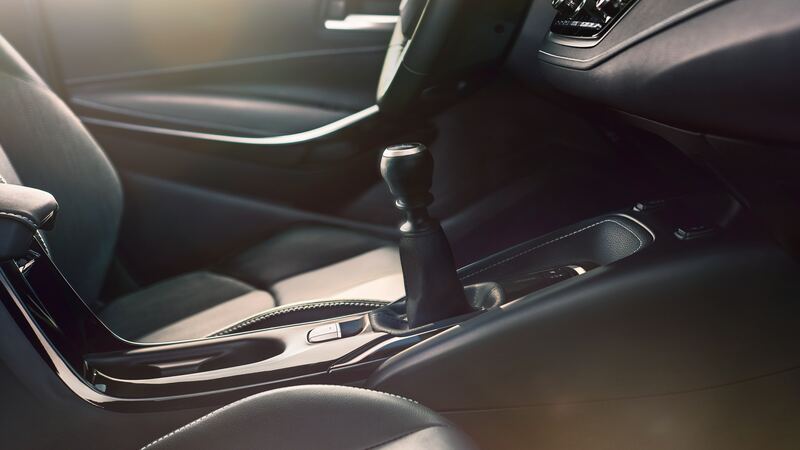 For driver’s craving greater control, the all-new six-speed intelligent Manual Transmission (iMT) with downshift rev-matching automatically adjusts engine rotations when changing gears and ensures smoother and faster transitions between gears. Corolla Hatchback also features an all-new suspension, additional shock absorbers, active cornering assist, and vehicle stability control, which all work together to enhance ride comfort and handling response so that you have fast-paced fun the moment you step on the gas. No matter what roads you travel, Toyota is always there to keep you as safe as possible. That’s why the all-new Corolla Hatchback comes standard with an all-new safety innovation. Introducing Toyota Safety Sense 2.0, an advanced suite of safety features that adds new technologies and capabilities designed to help protect drivers, passengers, and others who share the road from harm. That’s peace of mind we can all get behind.